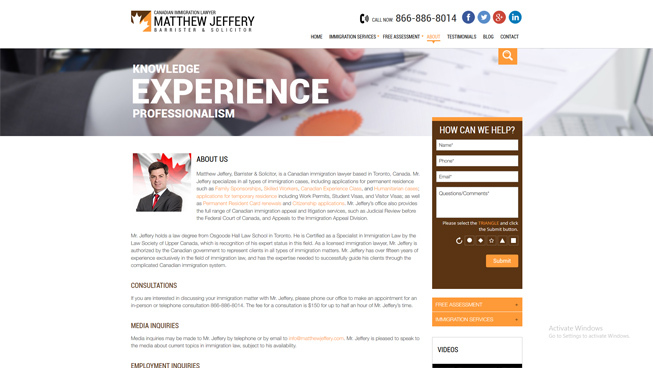 The website we designed for Matthew Jeffery portrays this clients’ professionalism. 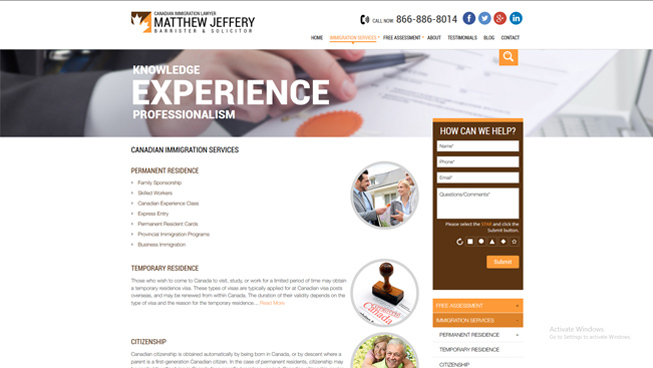 We ensured this client’s website was optimized for user experience and conversions. 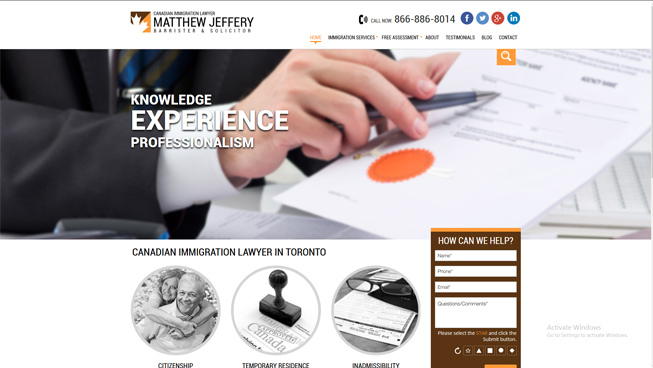 Combined with a targeted search engine optimization (SEO) strategy, Google My Business (GMB) and social media marketing, this client was able to improve organic ranking and drive brand awareness. 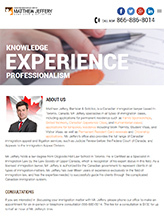 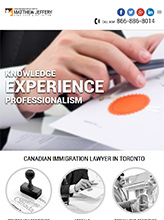 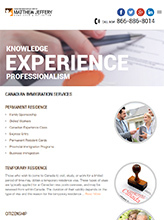 Overall, TechWyse helped Matthew Jeffery cement himself as one of Canada’s top independent immigration lawyers.